In the late 1970’s, my father drank Lipton instant iced tea every night with dinner. I know this, because it was my “job” to make dad’s tea. Pretty simple: 1 scoop of Lipton instant tea in a tall glass with ice cubes and water. Stir and serve. Not fancy or flavorful, but convenient. Being a child, I complained about this chore. Things were different back then, though, we did not have ice makers in our freezers. 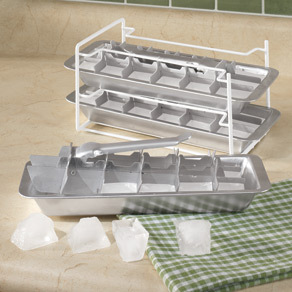 We had handle ice-cube trays, that were very stubborn about releasing ice. Lipton’s to go drink mix appears to be making an effort to compete with ready made teas such as Snapple. 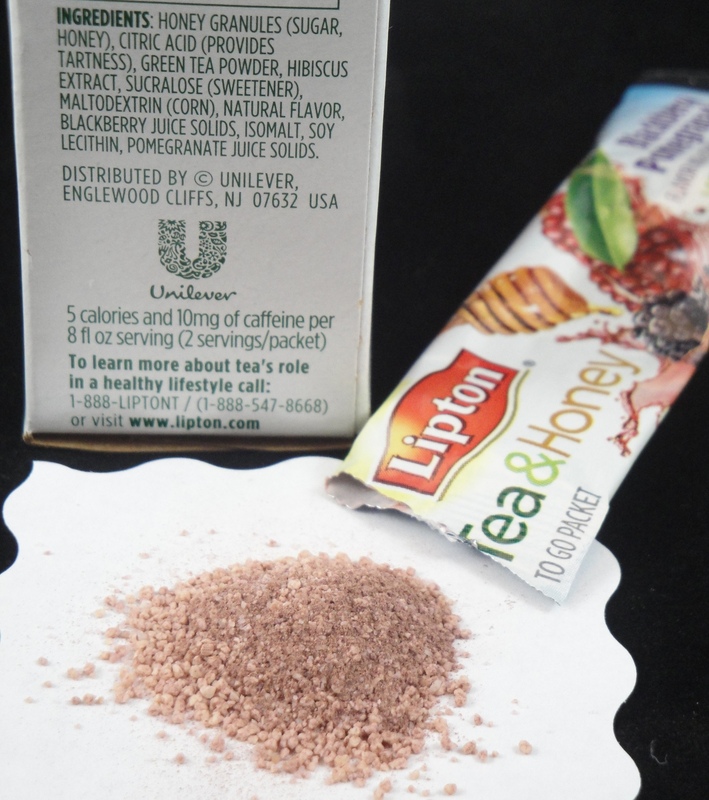 Lipton’s tea mixes are naturally colored and flavored, very sweet, flavorful and exotic. The drink mix category competes extremely well with ready to drink. For the price of a 2 ready made teas, I can by a box of 10 to go packs. There is a huge cost savings when the consumer doesn’t have to pay for water. Lipton has excellent flavors in their ice tea mixes. Unfortunately, they have over sweetened and over flavored their mixes. The first few sips are wonderful, then the drink becomes naseauting. Some people will call tea & honey ice tea cloying: to cause distaste or disgust by supplying with too much of something originally pleasant, especially something rich or sweet. 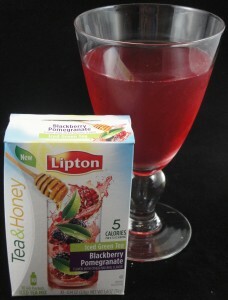 Tea & Honey instant green tea is a huge improvement on the ice tea my father used to drink. The flavor and color of these beverages are perfect. One tweak is needed; reduce the sucralose and flavor. If you would like to give them a try, they are in the dry tea isle at your supermarket.